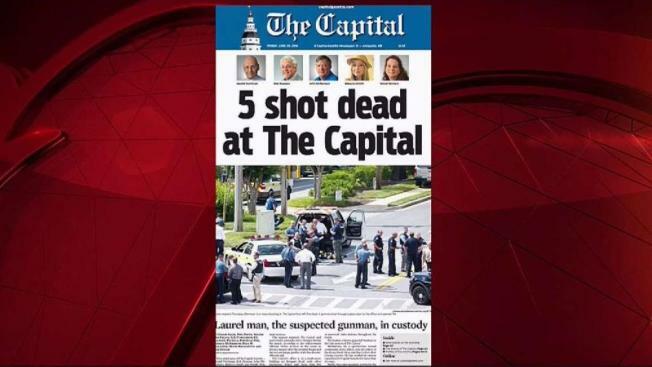 The shooting in a Maryland newsroom this week that left five people dead came less than six months before a new law takes effect in that state that allows people to raise “red flags” restricting a person’s access to guns. There is no way of knowing if the attack in Annapolis would have played out differently, but the new law, an extreme risk protective order law, allows relatives and law enforcement officials to ask a court to temporarily restrict a person’s access to guns if they are found to be a risk to themselves or others. The law will go into effect in October. “Given the facts of this case, I think there was a strong possibility that law enforcement would have been able to obtain an extreme risk protection order against this person and therefore the person’s guns might have been removed or he wouldn’t have been able to buy this gun,” said Lindsay Nichols, the federal policy director at the Giffords Law Center to Prevent Gun Violence, a gun control advocacy group. Maryland’s gun laws are typically stronger for handguns than long guns but the extreme risk protection order applies to all firearms, she noted. The accused shooter, 38-year-old Jarrod Ramos, bought the pump-action shotgun he used in the killings legally a year or so ago, Anne Arundel County Police Chief Timothy Altomare told reporters on Friday. Ramos apparently had a longstanding grudge against the newspaper over a 2011 column about his pleading guilty to criminal harassment. According to court records, he pleaded guilty to the charge in July 2011 in Anne Arundel County and later sued the newspaper unsuccessfully over the column. A former publisher, Thomas Marquardt, told The Baltimore Sun that Ramos began harassing the newspaper’s staff shortly after the column was published. The misdemeanor harassment conviction, for "misuse of electronic mail," would not have disqualified Ramos from buying a shotgun. Some convictions would prevent a licensed gun dealer from selling a weapon to a person — felonies, violent crimes and misdemeanors that carry penalties of two years — but not his harassment charge. The maximum sentence for that misdemeanor is one year in jail, a fine up to $500 or both. Maryland also does not require a private seller to conduct a background check before the sale of a rifle or shotgun, though the checks are generally required for handgun sales, Nichols said. The Giffords Law Center, which evaluates the strength of each state’s gun laws, has awarded Maryland an A-, one of only a half-dozen states to receive a top high mark. This year, Maryland also passed a law requiring a person convicted of domestic violence crimes, even some misdemeanors, to surrender firearms. Only Connecticut, Hawaii, Illinois and Massachusetts require the licensing of rifles, though California does maintain records of all long gun sales. Any time a long gun is sold in California, a record must be sent to the state Department of Justice. 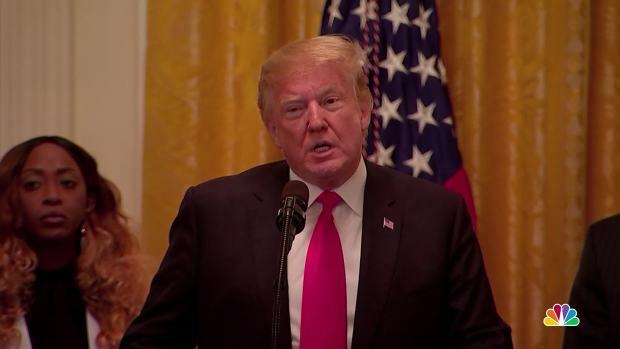 Red flag laws, also called gun violence restraining orders, gained attention after the shooting deaths of 17 students and staff at Marjory Stoneman Douglas High School in Parkland, Florida, in February. The mother of the alleged shooter, Nikolas Cruz, had contacted police over behavior she found troubling. Afterward, Florida quickly passed a red flag law, followed by Delaware, Maryland, New Jersey, Rhode Island and Vermont, according to another gun control advocacy group, Everytown for Gun Safety. Other states that are considering such legislation: Illinois, Massachusetts, Michigan, New York, Ohio and Pennsylvania. Texas Gov. Greg Abbot says he wants to explore a law, but the Texas Tribune notes that it has previously gone nowhere in the Texas Legislature. Before the Parkland shooting, only five states had such a red flag law in place, while now 11 do. After the Parkland shooting, the National Rifle Association offered some conditional support for red flag laws. But it also said it did not support the kind of red flag laws that had already been passed at that point, which would include ones in California and Washington state, and it sued to block the new Florida law contending that its provision banning sales to those under 21 was a violation of the Second Amendment. Gun control advocates remain skeptical about what the NRA would support. In an statement, the NRA said that the organization believed there should be laws in place to prevent "truly dangerous individuals" from accessing firearms. But it stressed the organization's commitment to fully protecting the "Second Amendment rights of law-abiding citizens" and said that laws like Maryland's would need to "include criminal penalties for those who bring false or frivolous charges." Among other conditions the NRA would require to support a red flag law: community-based mental health treatment for the person shown to pose a danger; notice of the court hearing so that he or she has an opportunity to offer evidence; a determination from a judge about whether he or she meets the state standard for involuntary commitment, which is the action that should then be taken; a procedure for returning the firearms; a way for the person to challenge the order; and a process that allows "law-abiding third parties" or a federally licensed firearms dealers to retain the guns. A review by the Oregonian newspaper of the red flag law that went into effect in Oregon last year found that in the four months from Jan. 1 to April 30, judges had granted gun removals in 24 of the 27 cases filed. At least four of the gun owners had threatened to shoot people in public places, but most removals were meant to prevent suicides and domestic violence shootings. A study from the University of Indiana found that red flag laws in Indiana and Connecticut were associated with a drop in the rate of suicides by firearms in both states. Indiana’s rate dropped by 8 percent in the decade after the law was enacted; Connecticut saw a 14 percent drop in the eight years after the 2007 Virginia Tech shooting, when the state tightened enforcement of its law. Nichols, of the Giffords Law Center, said that red flag laws are based on the best predictors of future violence, including threats of violence or suicide or actual acts of violence or suicide attempts. The removal of weapons are temporary, generally lasting about a year, and follow judicial due process, she said. 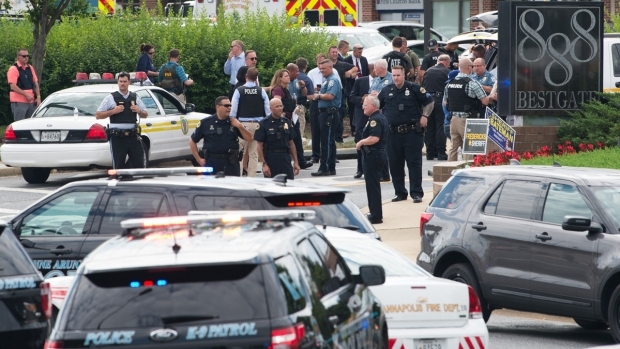 Jarrod Ramos, 38, was identified late Thursday as the suspect in the shooting at the Capital Gazette newspaper in Maryland that left five people dead. “They really fill an important gap because they enable family members and law enforcement to temporarily remove guns from a person that they know to be dangerous,” Nichols said. “They provide this great opportunity to prevent these sorts of tragedies from happening in the future,” she said.